A Special Sparkle: How do you track progress? Hello Sparkle readers! We have a new little series of posts for you! 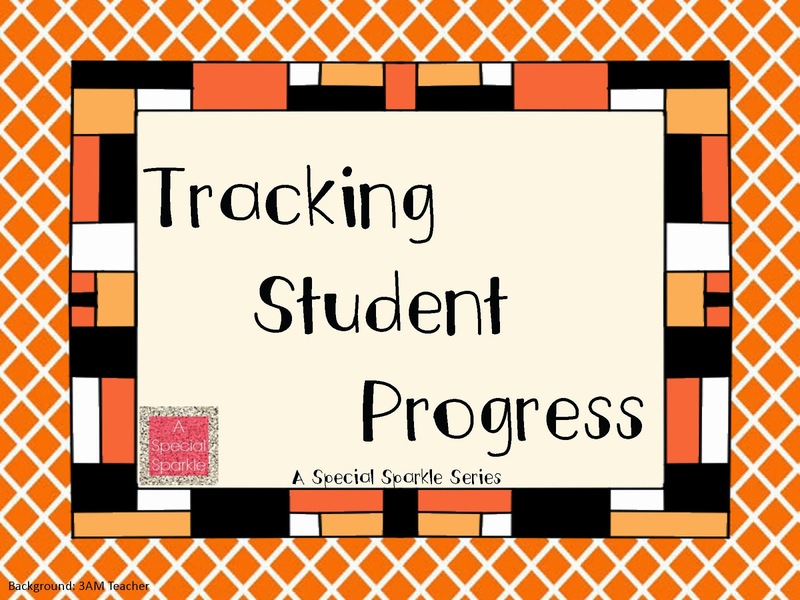 This one is about how we track our student's progress. Be on the lookout for posts from a few of our authors on this topic. Each school year I try to find a better way to document data for progress monitoring. Over the past 9 years I have talked to other teachers, scoured the internet, and made up my own resources. I have been secretly hoping that an app developer would come up with something (free or really cheap) that I could successfully use on my ipad, but no such luck yet. If you do have a great ipad app for this please let me know! These are some of the things I use to help me track data. 1. Use the IEP goal pages: In the past I have kept a binder that had only the IEP goal pages for my students and made notes directly on the pages. I was able to then carry this binder around with me throughout the day. I always choose a binder that was a different color than the usual black or white so that it would stand out if I was looking for it. 2. Teacher created pages: I have made my own pages to document progress monitoring which include a column for the goal, date, notes, and progress code. I find transferring all of the goal information onto this page to be time consuming, but transferring information to the progress reports is fairly easy. If you would like to a copy of this page you can get it for free from this blog post. 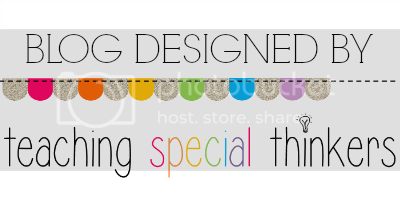 You can also find tons on TPT and on other blogs. Ones I have found to be helpful are at The Autism Tank and The Autism Helper. 3. A few years ago a friend suggested checking out the forms on Mrs. Perkins website. These are a fantastic resource for me in tracking sight words and letters. 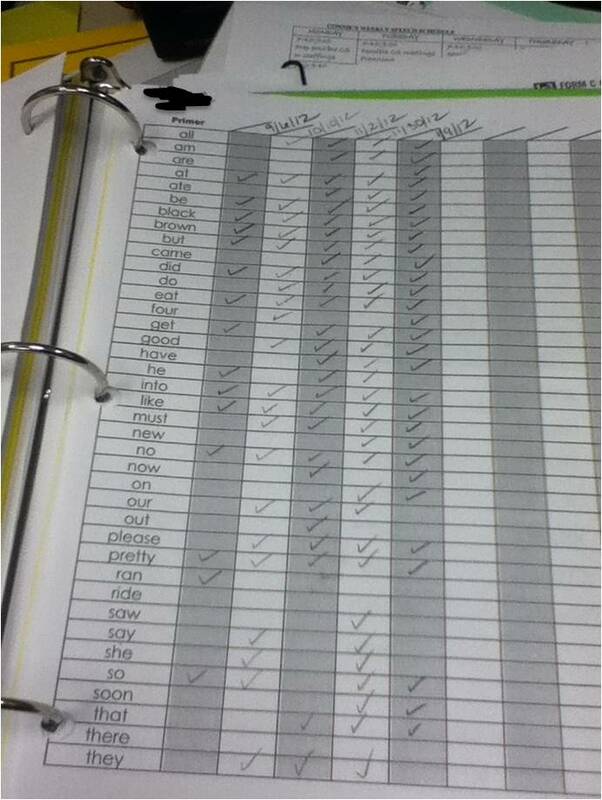 Her simple format made it easy for myself or a paraprofessional to assess student progress. 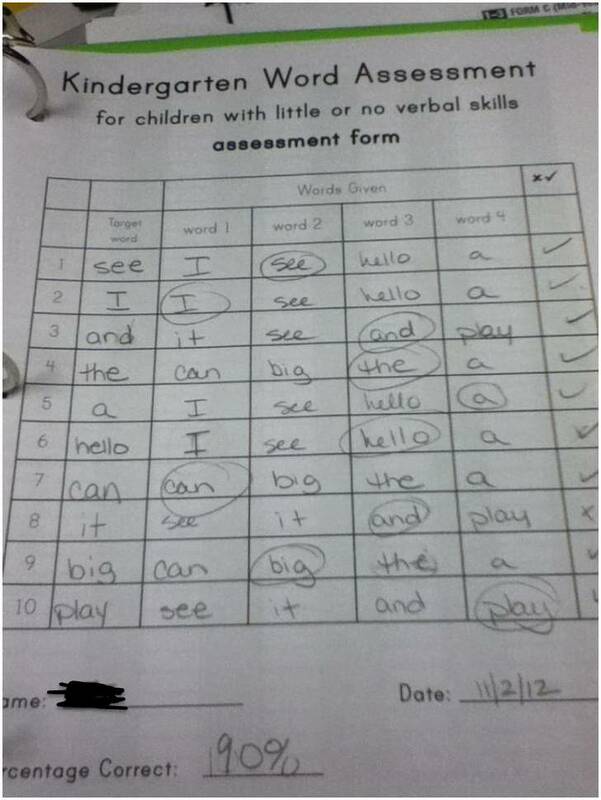 I could also easily send the form home for parents to review. 4. 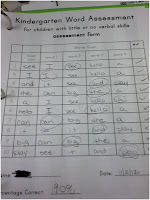 Another site I have found that has great sight word assessment sheets is A Special Kind of Class. I love her sheets because she has even made one for our non-verbal kiddos. I wrote a blog post discussing this a bit more. You can find it here. 5. I also found Numberfly which was great for assessing students number recognition. 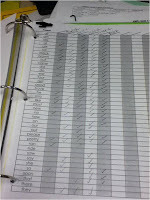 I was able to also use a chart on the site to chart information to take to IEP meetings.